Normal service this evening, no Valentine's date for me. I thought I'd write about something that reflects my current mood towards another commercial "day" in our calendar. 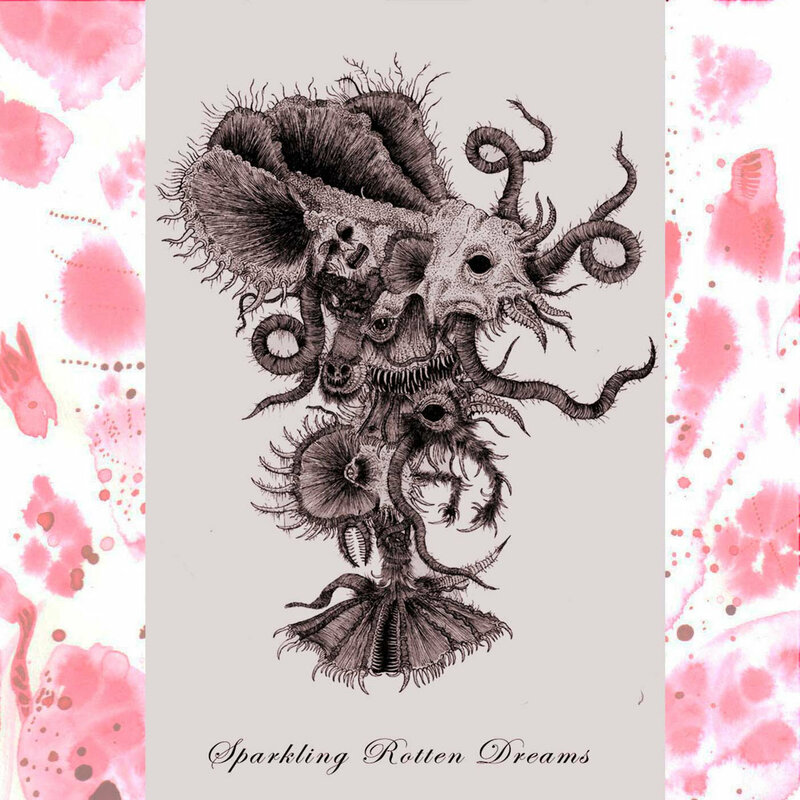 Cue Finnish death metal entity Blooming Carrions and last year's debut demo "Sparkling Rotten Dreams". Blooming Carrions was formed sometime in 2014 and released this debut via Iron Bonehead Productions last July. You won't find any social media pages or fan fair from Blooming Carrions. Solitude and music seem to be the preferred directions for sole member EvM. Blooming Carrions’ take on death metal is hellishly raw. The crazed drumming and low growls are joined by guitars riffs that slice though the mix on demo opener Crystalized Disembowelment. Amongst the intense noise there are moments on unearthly atmosphere and those moments are greeted with relief, as for the most part this is very claustrophobic and heavy. The driving guitar work is more apparent on Oneiric Grave, which powers along with chunkier riffs and a frenzied old-school spirit. The demo’s closing song is a thrashing menace. Pulsating Black Pools may cause involuntary head banging thanks to it’s raging tempo and constant cymbal crashes. It’s also pretty catchy if I dare say so. It’s not an easy listen and those with a leaning towards more extreme metal will definitely get more out of it, but “Sparking Rotten Dreams” has a great deal of musicality flowing through it and a genuine presence that a lot of solo projects miss.